Mary E. Tarduno is an attorney in the Government Contracts, Investigations & International Trade Practice Group in the firm's Los Angeles office. Ms. Tarduno's practice focuses on complex civil litigation and internal investigations. She has extensive experience in breach of contract, fraud, unfair business practices, trade secrets, and False Claims Act litigation and has been involved in creating detailed structures for settlement of disputes. In the government contracts area, Ms. Tarduno has conducted numerous investigations and analyses on cost accounting, time charging, contracting, quality, technical, and internal control compliance issues; has formulated corrective action plans; and has assisted clients in making voluntary disclosures to government agencies and enforcement officials. 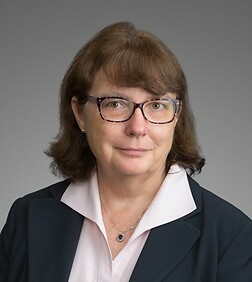 In both the government contracts and general business litigation context, she has extensive experience in managing responses to discovery demands, including those involving large civil litigation document productions, responses to government civil and criminal subpoenas, and classified document productions.